Mitragyna speciosa, commonly known as kratom, is a plant that grows naturally in Thailand, Malaysia, Indonesia and Papua New Guinea, according to the FDA. It's an herbal supplement you can buy at the store and it's now being linked to two Chester County deaths. It's called "kratom." People are using it in place of opioids. At least two men in Chester County, Pennsylvania, died this year after taking kratom, a legal herbal supplement. Kratom has sparked debate regarding its safety, with supporters citing its benefits in treating pain and opioid addictions. The FDA warns it's dangerous and isn't a better alternative to prescription opiates. At least two men in Chester County, Pennsylvania, recently died after taking a legal herbal supplement often used to treat opioid addiction and other medical issues, the coroner’s office said. Caleb Jonathan Sturgis of West Bradford Township died in June from acute mitragynine intoxication after ingesting the botanical supplement kratom. Ryan Jones of Caln Township died in April also after taking kratom. Both overdoses appeared to be accidental, according to the Chester County Coroner’s Office. But there are no FDA-approved uses for kratom. "Moreover, the FDA has evidence to show that there are significant safety issues associated with its use," FDA Commissioner Scott Gottlieb said in a November, 2017 statement. 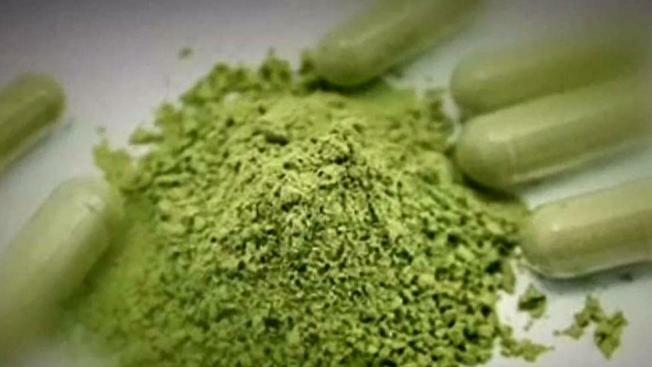 The FDA is aware of 36 deaths associated with the use of products containing kratom, the agency said. The Drug Enforcement Agency tried to ban the herb in 2016 but dropped its attempt after public outcry from users as well as 51 congressmen around the country and across the political aisle. Some of its supporters argued it could be an alternative to drugs like OxyContin. Jon Wilt sells kratom at his West Chester, Pennsylvania, smoke shop Planet Ryo. Wilt told NBC10 he constantly hears success stories about kratom from customers who take it for various reasons, including pain relief, migraines and issues with focusing. “I’ll take it for pain relief but it doesn’t get me high,” one customer, who did not want to be identified, told NBC10. According to Wilt however, the biggest reason his customers normally give him is because they believe kratom is safer than the opiates a doctor might prescribe for their pain. In a February memo, the FDA insisted there’s no evidence that those advantages exist for kratom and they warn it can be dangerous. FDA officials say carries the potential for abuse, isn’t a better alternative to prescription opiates and definitely shouldn’t be mixed with other drugs. Dr. Jason Wallach, who teaches pharmaceutical science at the University of the Sciences, believes there should be more clinical trials conducted on kratom before a decision is made about its legality. “It’s safer than many alternatives,” Dr. Wallach said. Wallach also said there needs to be better oversight of the kratom products coming into the country unregulated. Kratom is available without a prescription in many parts of the country. Its use is banned in Alabama, Arkansas, Indiana, Rhode Island, Tennessee, Vermont, Washington, D.C., Wisconsin and Louisiana, however. Kratom is legal in Pennsylvania and Delaware. There is pending legislation on it in New Jersey. CORRECTION: This story has been corrected to remove a statement misattributed to FDA Commissioner Scott Gottlieb.